Bored Panda found a dad that is much more creative than I am. And I’m jealous! Ian Pfaff is so much more talented than me. This California based director took his children’s Little Tykes Cozy Coupes and upped their bad-assery ten-fold. 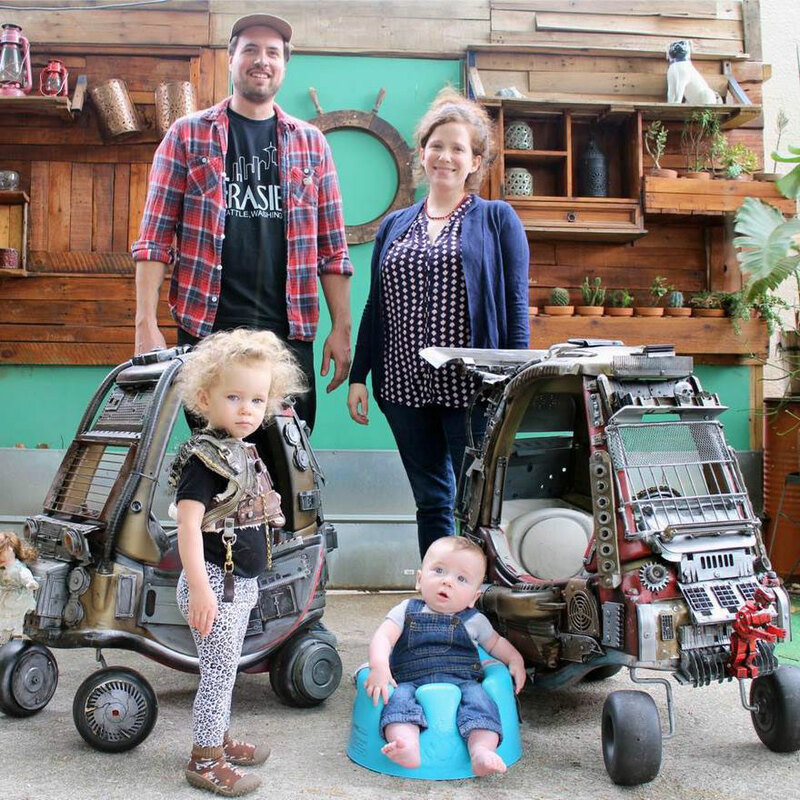 He took computer junk, an old espresso machine, a Rock em Sock em robot and whatever else he could find and turned his kids cars into true Mad Max Fury Road mobiles! Previous Ever Imagine Yourself Playing Mario Kart Through The Aisles Of Target? Imagine No More! Next Would You Watch A Black & White Logan In Theaters?